“For this year’s Rainbow Project collaboration with Garage Project we drew the colour Indigo. After much research on both sides, the idea that excited us all most was that of the Blacklight Banana. Ripe bananas uniquely glow bright indigo under UV lights, with researchers putting it down to the unique way that bananas break down chlorophyll as they ripen. But why? One possible theory is that it makes the bananas visible as a food source to animals that see in UV range, like bats. To do this discovery justice we explored the best ways of using banana in beer. One method that piqued our interest most was an old fashioned Jamaican rum process using Dunder pits. Dunder is the yeast-rich leftovers from one bath of rum that is used to start the yeast culture of the next batch (a similar method is used in sour mash whiskey). Traditionally though, ‘Dunder Pits’ would be filled with fruit and vegetable matter, in which bananas would often be used to keep the yeast going. This was key to making Jamaican rum taste so fruity, again with Banana being a standout flavour. Despite our love for the idea though, and some promising early trials, we had to concede that we wouldn’t be able to get the quality and stability for the beer. We decided to move on, but had been influenced enough to decide we’d brew a rich dark beer with an influence from the spirit worlds we’d been digging in to. So next we turned to a more traditional way of getting banana flavours in to beer – with a traditional German Wheat yeast strain. However, in our pilot brews we found the banana to come through as a sweet, almost candy like flavour. To overcome this we decided to pitch both Vermont and the German Wheat strains in equal measure to keep some balance with the banana ester. Next we began to design the special beer we wanted to brew. A grist of Maris Otter, Malted Oats, Special B, Pale Chocolate and Brown Malt was chosen alongside Lactose which is a preference of ours to help provide a silky smooth body in darker beers. Next we included 200kg of Molasses, the viscous by-product of refining sugarcane or sugar beets into sugar. Molasses too is often used in the rum-making process and we wanted it to add some sweet, sticky depth. It also adds saltiness which accentuates the darker richer notes in the beer. Next up: Bananas. 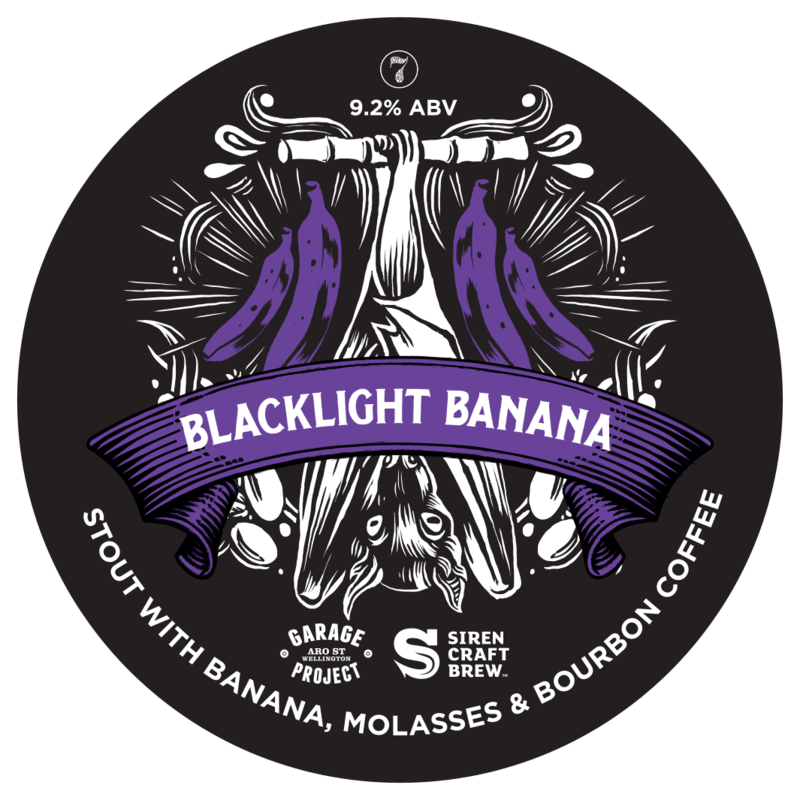 We brought in some 100kg of fresh bananas, then blow-torched them by hand to produce a well-rounded, caramelised banana flavour in the beer, which we think tastes true to the fruit. These are helped along by 100kg of fresh banana purée! As a final touch we included some bourbon barrel aged coffee. Early last year we sourced some green coffee beans and stored them away in sour mash bourbon barrels. This is the first time we’ve taken any out and we couldn’t be happier with the results. We hand-roasted 25kg for this beer which has provided a slight whiskey edge, another nod to all the influence we took from distillation in the process.